Want tosave 15,95 kn on this order and become Loyalty program member? 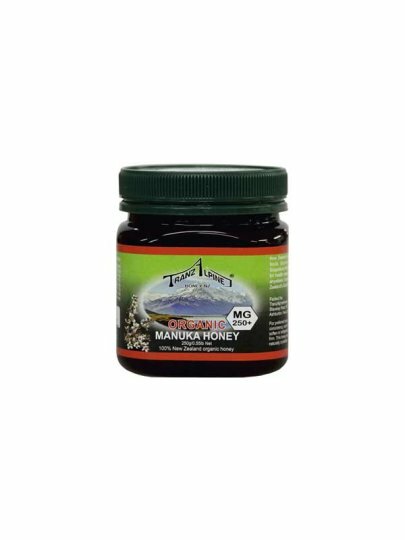 Manuka Honey is a special type of mono-floral honey produced by bees collecting nectar from the flowers that grow on the Manuka bush plants (Leptospermum scoparium), native plants of New Zealand. "Active" Manuka Honey contains, among other things, methylglioxal, which significantly contributes to its antibacterial activity. This is marked with MGO value. This TranAlpine Manuka honey contains 250 MGO.